Just beyond the grand lobby, you’ll find a quaint stretch of storefronts that surround the picturesque Palm Courtyard. Featuring some of the world’s most recognized and pursued brands, our boutiques bring the best of Palm Beach shopping to the hotel. From high fashion and cosmetics to children’s apparel and gourmet treats, The Shops at The Breakers have everything you want—and some things you didn’t know you needed. Part gallery, part café, The Breakers News & Gourmet underwent an extensive renovation in 2018. In the morning, go for the paper, artisanal coffee—including cold brew and Seattle-style pour over—and freshly-baked pastries. Mid-day, it’s perfect for quick, light bites, offering salads, sandwiches and snacks to enjoy in the adjacent Palm Courtyard. Beyond the café, you’ll find a well-curated collection of gifts and unique decorative accessories from around the world. Pick up sundries or peruse an array of magazines and best-selling novels. With an ever-changing selection, News & Gourmet is a whimsical emporium you’ll never tire of visiting. When in Palm Beach, be sure to dress the part. Known for her bold color play, vivid prints and pretty-prep sensibility, the late Lilly Pulitzer gained a cult following more than 50 years ago. Step inside for the label’s latest crop of graphic dresses, separates, footwear and accessories. Rare, iconic, incomparable—Guerlain’s legacy in luxury fragrance and skincare is second to none. Founded in 1828, the esteemed French beauty label is among the oldest in the world, operating only a handful of storefronts in the United States, including its boutique at The Breakers. 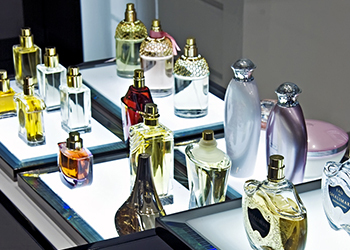 Explore a colorful spectrum of cosmetics, or peruse the label’s capsule of exquisite fragrances. And for the skin, work with a personal consultant to create a custom regimen, incorporating products like the coveted Orchidée Impériale, a molecular extract from a flower known for its extraordinary longevity. Embrace the power of the perfect accessory: a striking necklace that elevates a simple white top, or a artisan bracelet that keeps you in vacation mode long after the trip is over. This chic boutique is your destination for unique, artful jewelry and accessories from labels like Lana, Phillips House, Hoorsenbuhs and Sydney Evan. Mix, match, then mix some more. A perfect complement to Mix, Match features a thoughtful, fashion-forward edit of footwear—from easy flats and sandals to chic wedges and espadrilles. And for something more formal, slip into heels from a slew of sought-after designers, such as Aquazzura, Alexandre Birman, Stuart Weitzman, Del Toro, and Loeffler Randall. One visit here and you'll know who's who in swimwear. Thoroughly modern and utterly cool, Absolutely Suitable features a large, sculptural wave protruding from the ceiling and an artful floor that mimics the sidewalks of Rio de Janeiro. Visit to find apparel, swimwear, and accessories from a long list of European and American designers, including women's swim styles by Shan and Karla Colletto; men's swimwear from Peter Millar and Vilebrequin, and sunglasses by Oliver Peoples, Tom Ford and more. Even little ones can spring for major style, thanks to this charming children’s boutique. Step inside and browse through designer apparel and swimwear, cut down to smaller silhouettes for ages newborn to twelve. Sourcing unique styles from the United States, France, Italy and Spain, the shop’s roster of designers includes Lilly Pulitzer, Helena & Harry, Milly, Jack Rogers, Sally Miller and more. In addition, delight in an abundance of games, toys, children’s fashion accessories and attire sporting The Breakers’ logo. What to wear? Turn to the purveyor of classic American style, focused on elegant yet relaxed fashions for men and women. Our Polo Ralph Lauren boutique features the season’s newest pieces from Polo, including luxury apparel, on-trend accessories, footwear, leather goods, eyewear and signature fragrances. Make your mark and sport The Breakers’ stamp of luxury on your sleeve. 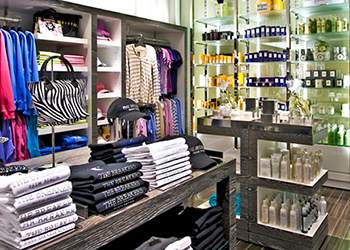 This boutique is your go-to for a big mix of apparel, accessories and décor accented with our logo—from tees and tote bags to glassware and luxury towels. You’ll also find our much-loved line of body and hair care products—the same ones provided in each of our guest rooms and suites—and other luxury bath and body labels, including Acqua di Parma and Kiehl’s. Here to make your stay even sweeter. Mary Lily’s offers a delightful array of indulgences for kids of all ages—including a selection of craft ice cream, frozen custard and locally-made Italian gelato. Plus, enjoy specialty chocolates and candies. Offering a touch of nostalgia, the shop's name honors Mary Lily Kenan, wife of The Breakers' founder Henry Morrison Flagler. In addition to our luxury boutiques surrounding The Palm Courtyard, discover The Breakers’ other shops located throughout the resort. Recognized as one of the top golf shops in America, The Sports Pro Shop specializes in high-style sportswear for the links and courts. Stroll down The Breakers’ palm-dotted drive to the golf and tennis clubhouse—home to this luxury shop—and browse an extensive array of golf and tennis apparel from the likes of Polo Golf, Grayson, Peter Millar, Fairway & Greene, Tory Sport, lululemon and more. Need equipment too? Ask an associate for help selecting clubs, racquets or extras like footwear and accessories. 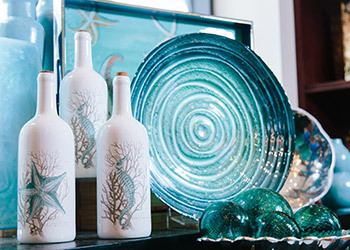 Found in the heart of The Beach Club on the main pool deck, this go-to store is open daily for resort guests’ everyday needs. Visit The Beach Shop for sunny day essentials like sunscreen, sunglasses, hats, flip flops, beach toys, non-alcoholic beverages and snacks. The luxurious and exclusive line of The Breakers Sea Glass bath and body products can only be found in two places: your guest room and our Signature Shop. To order yours, simply call (877) 724-3984. Mix it up with trunk shows January through April and treat yourself to the perfect accessory at Mix at The Breakers®.